Retrievable IVC filters are small metal devices that can be surgically placed in the inferior vena cava to catch blood clots and prevent them from traveling to the lungs, heart, and brain. Unfortunately, design flaws have caused a number of complications for patients, which has led to an influx of lawsuits against Johnson & Johnson. Many patients have experienced complications after having a retrievable inferior vena cava (IVC) filter implanted. IVC filters are small metal devices that are designed to catch blood clots in the bloodstream before they can migrate and become a pulmonary embolism or other potentially serious health condition. However, because of design flaws and improper warnings about the dangers posed by these devices, there has been an increase in claims regarding an IVC filter lawsuit against the manufacturers. If you have experienced any negative complications after having an IVC filter placed, please contact an attorney to explore your legal options. Retrievable IVC filters have been linked to many complications in patients, often resulting in severe injuries. IVC filters are small, cage-like medical devices that are intended to prevent life-threatening blood clots from migrating into the heart, lungs, or brain. These devices are designed to be implanted in the IVC (which carries blood to the heart from the lower half of the body) in patients who are at an especially high risk for developing a pulmonary embolism or other serious condition. IVC filters are intended to trap blood clots in the vein, causing them to dissipate before they can develop into a more serious condition. IVC filters are commonly recommended for patients who are unable to take anticoagulant medications or have been unresponsive to other therapies. These retrievable devices are not intended to be left in the body for an extended period of time, and should be removed when the patient is no longer in danger of developing an adverse condition. In addition to the dangers associated with the device itself, there have also been allegations that the manufacturers suppressed evidence from their own research that indicated that IVC filters were dangerous. It has also been alleged that Bard even went as far as forging a regulatory specialist’s signature on an application to obtain Food and Drug Administration (FDA) approval for the device. Filed claims have alleged that the design flaws in the devices themselves have led to an increased risk of complications from devices that fracture easily. In August 2010, the FDA issued a warning to medical professionals about the possible risks and complications associated with retrievable IVC filters, and instructed that these devices should be removed after the danger of developing a pulmonary embolism has passed. In May 2014, the FDA updated their warning to healthcare professionals and advised that patients may be facing an increased risk of complications from their IVC filter the longer that it remains in the body. Additionally, the administration updated their safety statement and indicated that ideally, the devices should be removed between 29-54 days after they were implanted. Individual IVC filter lawsuits have alleged that the manufacturers of the devices failed to properly warn both healthcare practitioners and patients of the importance of removing the IVC filters after they had been implanted. Had patients and physicians been fully informed of the inherent dangers of the devices, many would have chosen another treatment method with a lower degree of risk. Filed claims have also alleged that the design flaws in the devices themselves have led to an increased risk of complications from devices that fracture easily. It is believed that these flaws may have led to perforation of the vena cava and other major organs by small pieces of the fractured IVC filter. There have been over 900 reported adverse events involving complications from IVC filters. Most commonly, the filter, or a broken piece of the filter, has become dislodged and migrated throughout the vascular system to another area of the body. This movement allows for the small pieces of metal to pierce through a vein wall and damage the surrounding tissues and organs. These IVC filters can also shift and tilt in place inside the inferior vena cava, increasing the risk of complications. Class action lawsuits are a certain classification of legal proceedings in which a small group of plaintiffs represent a very large group. In this type of litigation, the results obtained during trial or settlement by the smaller group are legally binding on the larger group. While this type of litigation can be beneficial for certain cases, plaintiffs who have been impacted by complications stemming from IVC filters will be better suited to pursuing multidistrict litigation (MDL). In MDL, plaintiffs remain independent of each other and the results obtained by one party are not legally binding on all individuals. The individual lawsuits will be combined before one judge to consolidate discovery and investigation when one or more common questions of fact are pending in different districts. The majority of IVC filter lawsuits will most likely be combined for an MDL. This will allow for the manufacturers to obtain a realistic assessment of their financial risk and determine appropriate settlement amounts. Typically, the manufacturers’ legal team will determine several different settlement classifications that are dependant on the extent of injuries suffered. Retrievable IVC filters have caused many troubling complications for patients. IVC filter patients who had one of the devices made by Bard or Cook implanted since 2003 may file a claim. Each state has specific time restrictions, called statutes of limitations, that detail how long patients have to file a claim. Affected patients must file a claim against the manufacturers of the dangerous products before the statute of limitations expires or the company will no longer be liable for patients’ injuries. The only way to ensure that you do not lose your legal rights is to retain an attorney immediately. Unfortunately for patients who are at a higher risk for developing blood clots, several anticoagulant medications have been associated with adverse side effects. Our legal team is currently investigating the connection between the blood thinner Xarelto® and uncontrolled bleeding events. The FDA developed a quantitative decision analysis to determine the appropriate time period for optimal risk-benefit ratio in retrievable IVC filters. This analysis was originally published in the Journal for Vascular Surgery. 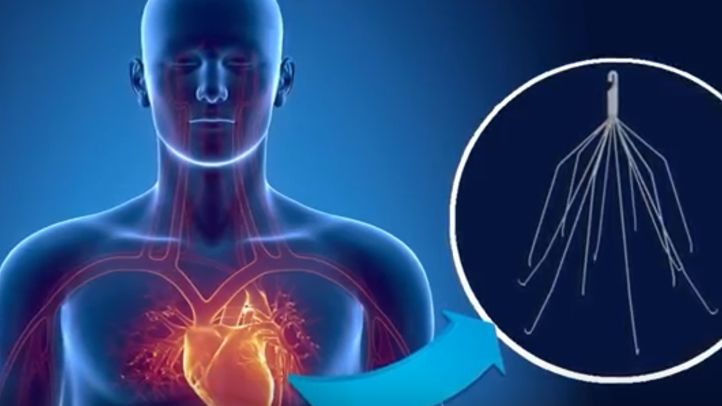 In 2014, the FDA updated their original safety alert concerning IVC filters by analyzing the available data to determine an appropriate time period in which the filters should be safely removed to prevent any complications that may arise. The FDA’s original safety alert in 2010 warned of the dangers of IVC filters and the increased risk of complications that may arise from leaving the filters in place after the possibility of developing a pulmonary embolism has passed. The Journal of the American Medical Association published an article concerned with the risk-benefit ratio for patients who have undergone this modality of treatment. Our IVC filter attorneys have extensive experience representing plaintiffs who have fallen victim to unfair practices and as a result, been exposed to dangerous outcomes. Please contact our legal team to arrange a complimentary consultation and to discuss the current status of the litigation.